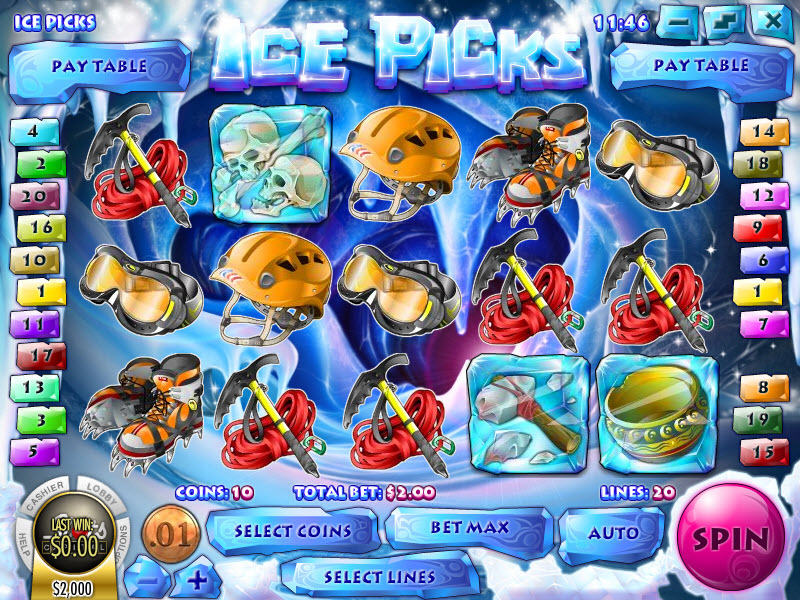 Overview: Grab your pickaxe and break the ice with Ice Picks, Rival's latest 5 reel slot. Heli-Board into the Himalayas to hunt for hidden treasures in a long lost frozen cavern. You'll need climbing gear - a helmet, boots, goggles, wooden crate, and a compass. 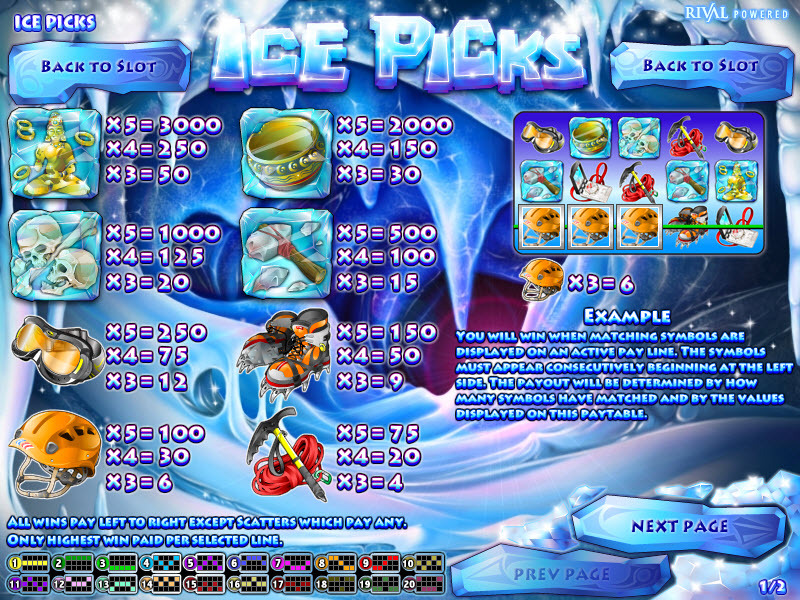 Treasures frozen within the ice include ancient tools, bones, a bowl, a statue, and a treasure chest. Frozen icons shatter in a line to create multi-win sequences. 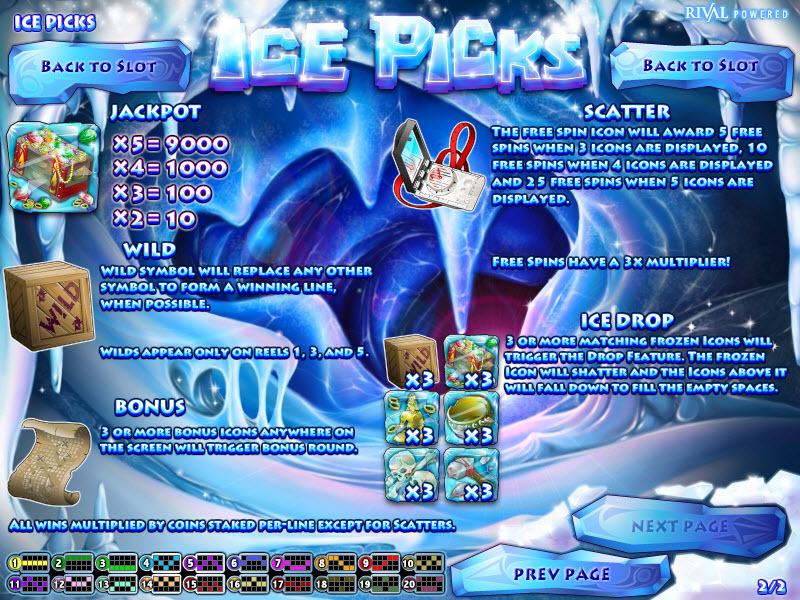 Similar Slots: If you like Ice Picks, you might like these other Rival video slot machines: A Day at the Derby, Astral Luck, Pub Crawlers, Roll out the Barrels, Watch the Birdie.